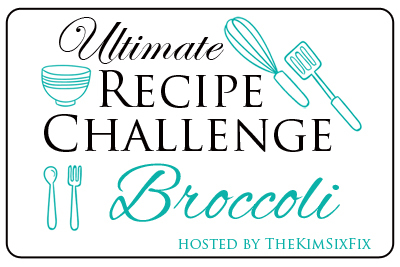 Welcome to our recipe series blog hop ~ the Ultimate Recipe Challenge ~ and this time we’re making the most of broccoli! This challenge came at a good time for me, as I’m trying to stick with healthy eating, but hey, it’s football season ~ and that means tailgates and game day spreads. 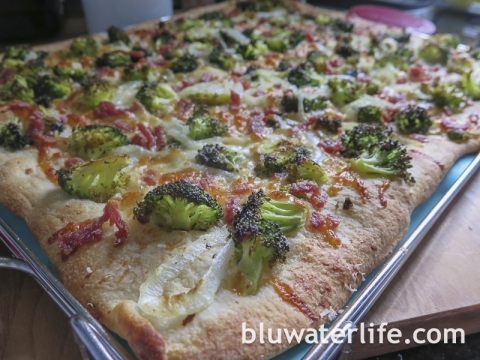 So my challenge recipe this month is broccoli flatbread pizza! I’ve never met a pizza I didn’t like. But truthfully, broccoli in general is mostly meh in my opinion. So it was a challenge to turn up the flavors and hold back the sauce, gooey cheese and deep-dish crust! Happily, some of my tried-and-true favorite ingredients came through in the clutch. 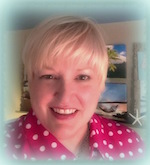 Check out my recipe details below, and visit the other awesome blogger links for more broccoli goodness! Directions ~ Pre-heat oven to 400 degrees. 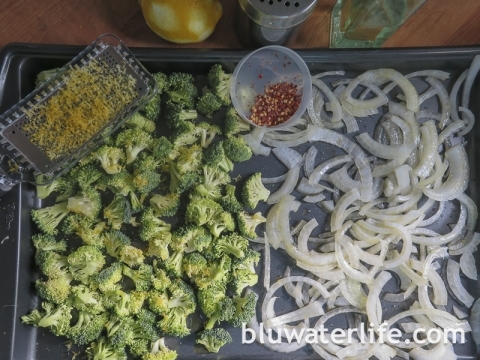 Spread broccoli florets and thinly sliced onions in a single layer on a sheet pan and toss with olive oil. 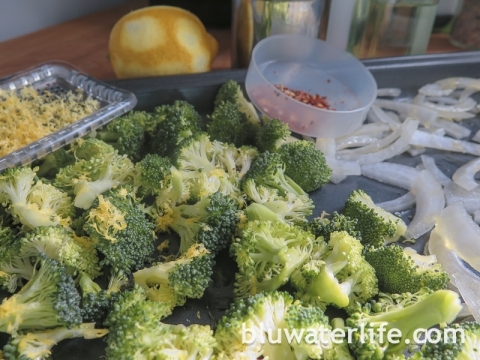 Sprinkle broccoli with lemon zest and red pepper flakes and toss to mix. NOTE: Check the heat on your red pepper flakes. Mine are from Penzey’s and pack a good amount of heat! 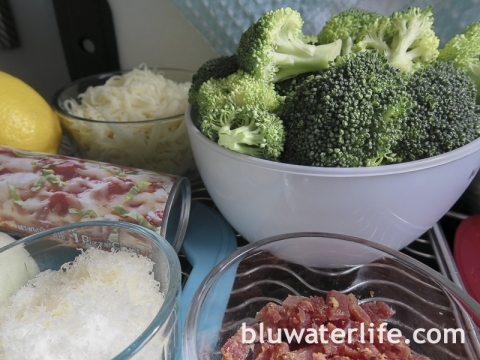 Roast in a pre-heated oven at 400 degrees for 12-14 minutes ~ until broccoli edges begin to brown and onions are softened. 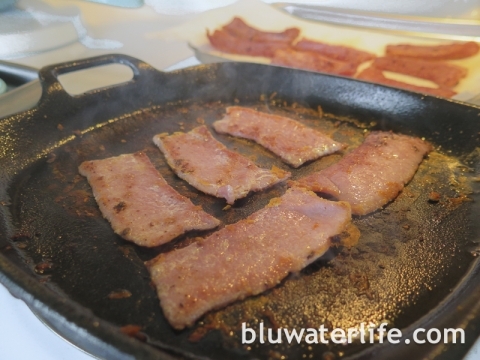 I had a few country ham slices left over from breakfast and I chopped them into small pieces, roughly 1/3 cup chopped pieces. 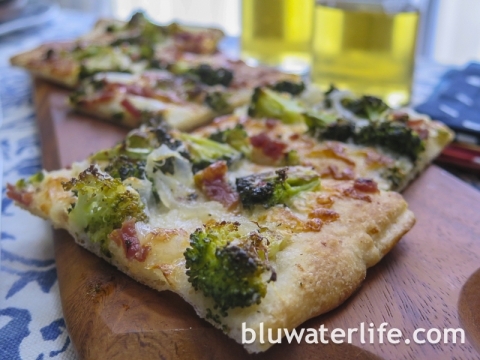 Crispy prosciutto or bacon would also work nicely ~ or you can skip it and just go all veggie. The Pillsbury thin pizza crust from the grocery fridge aisle works great for a flat bread style pizza. 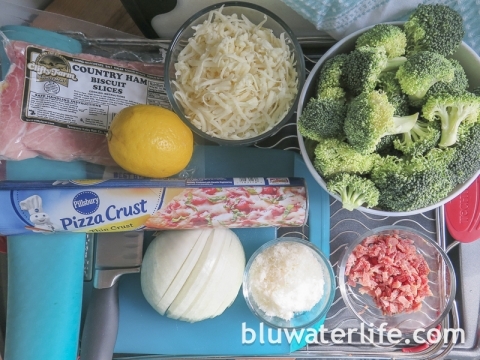 I love to use fresh dough for pizza, or make my own dough sometimes, but for this quick recipe I always use the Pillsbury can! 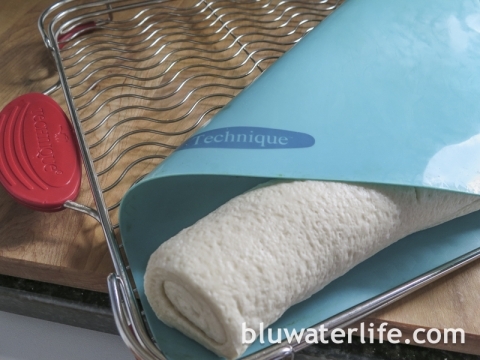 I have a wire rack pan and a silicone mat that perfectly fits the unrolled crust. Baked according to directions, at 425 degrees for 12 minutes in my oven is perfect every time! Lightly sprinkle about half the mozzarella and parmesan cheese over the unrolled crust. 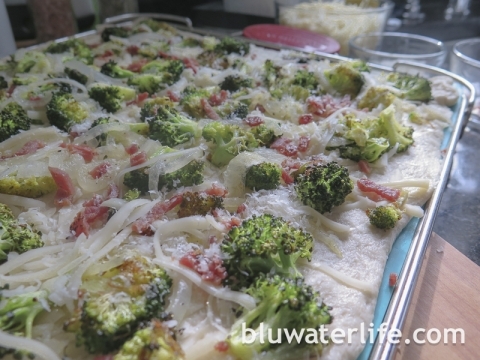 Add the roasted broccoli and onion over the cheese ~ add sprinkled ham or bacon if you’re using it ~ and finish with the remaining cheese. Bake the topped crust according to directions, 12-14 minutes at 425 degrees. 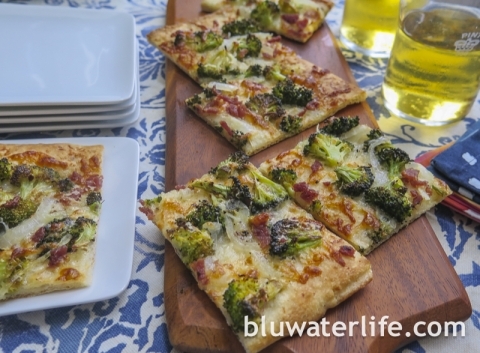 This broccoli flatbread pizza holds up well and tastes great even at room temperature, so it works well as part of a game day spread ~ and you don’t feel guilty eating it! If you are looking for another option for the next game day, check out my taco pizza and quick pizza bites too! 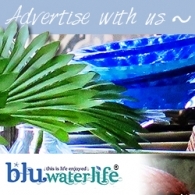 Hope you give this a try ~ and now back to the game! This looks so good and like something I can have the kids help make for dinner! 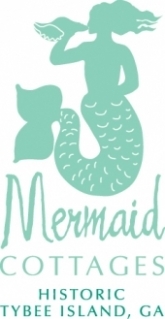 I want this! It looks and sounds wonderful. Wow. What a scrumptious looking flatbread. 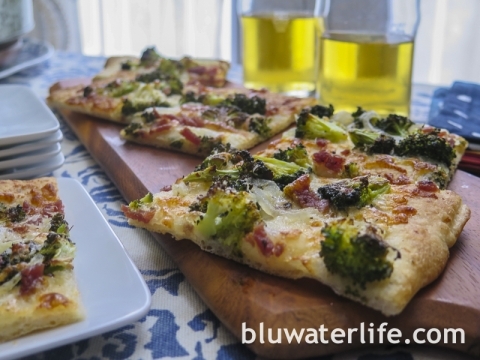 A great alternative to greasy pizza! Now this is speaking my language……yummy! These look tasty. I think your idea for game day snacks is perfect!